As I’ve started down the path of marketing our agency platform over the past few months, one of the things that’s surprised me has been the number of our resellers for whom email marketing is a brand-new service offering. It seems many of the consultants and agency owners in my network at least have exclusively sold SEO and paid search to their prospects and clients. Keyword research, title tags, links, and citations…it feels like many folks are bundling basically the same services they did in 2010. Reading the tea leaves of Google’s strategic direction and market position, I think that’s a dangerous recipe. 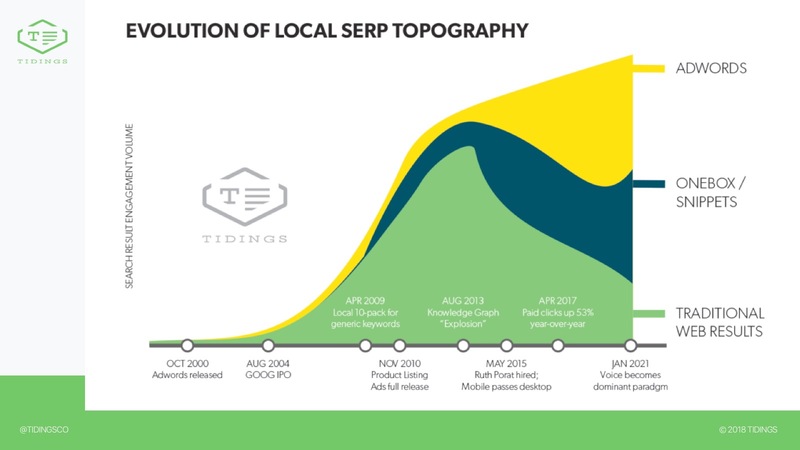 The search landscape and broader digital landscape has changed dramatically during that time, and in particular the last 9-10 months have seen a colossal shift in local SERP features. Small businesses’ awareness of SEO has grown dramatically in the last few years, but there are already indications that they are feeling the squeeze created by this new landscape: direct mail is now rated as a more effective channel. Agencies who don’t adjust their offerings to fit may still be able to sell SEO, but run the risk of a lot of disappointed customers unless they package and fulfill it appropriately. Particularly at the lower end of the market, it’s essential to update your service offerings to adjust to this new reality. I’ve given versions of the following presentation at AAN, SMX West, ADP, Local U Advanced, and on my webinar with Grade.us this Spring. I hope it helps you figure out how to evolve your agency for continued, long-term success. 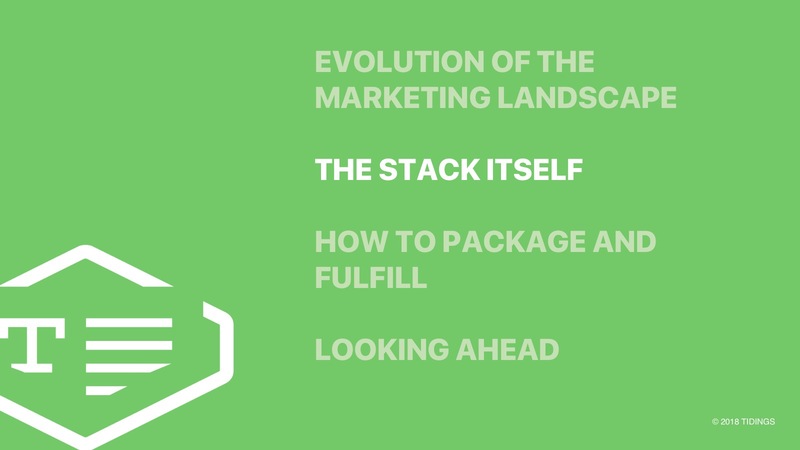 This presentation is based on an ongoing concept I started to develop in early 2016 called the Local Marketing Stack. While I developed the concept to help small business owners, it's just as applicable to agencies deciding what service offerings to offer and how to package them. Here's a brief outline of the upcoming presentation. The first section covers my thoughts on how the landscape has evolved over the course of my career. I got my start in the mid-2000's working as a web designer for small businesses in the Bay Area. Before long a couple of my clients were asking me, "Hey, what do you know about this SEO thing?" To which I replied "A little, but let me see what I can find out." This was a search result in the mid-2000's. Google (and every other search engine) returned 10 webpages for every search, regardless whether you were looking for a brand, product, or local business. 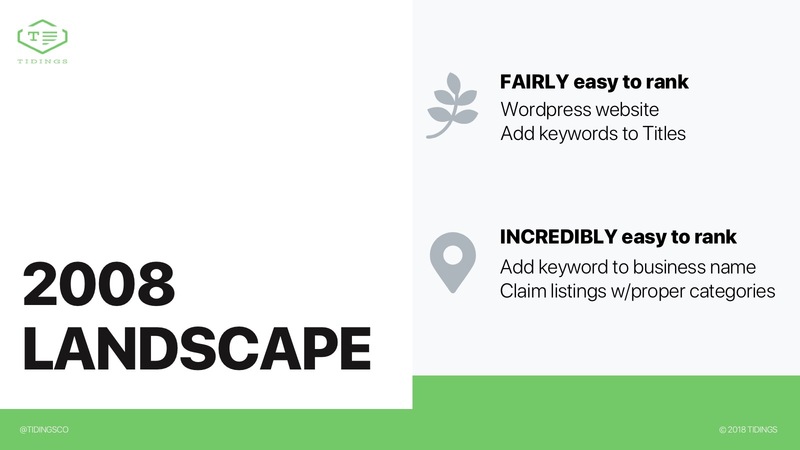 Especially if you were a local, brick-and-mortar business, you basically just needed to throw a keyword and a location in your title tag, or maybe even the meta keywords tag (! ), and you could rank pretty quickly because the competition was so limited. Then Google started local-izing results. It started returning business listings above the organic website results. 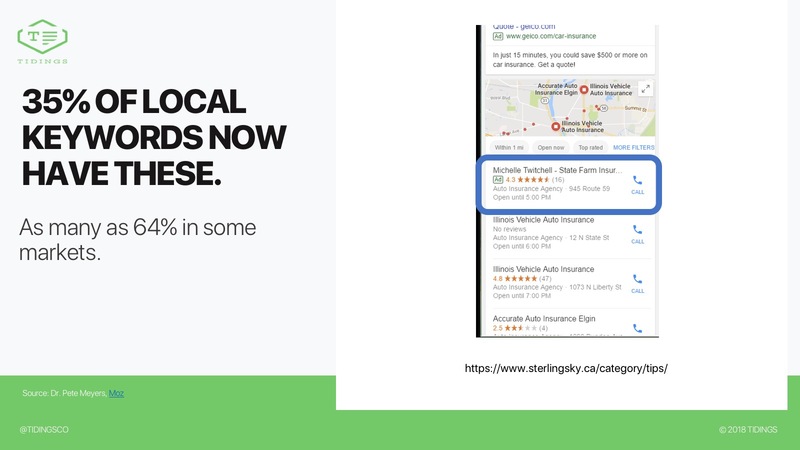 Just the act of claiming a listing in the Google Local Business Center was frequently enough to get first-page visibility on Google for all kinds of keywords you cared about. This gave local businesses even more exposure. 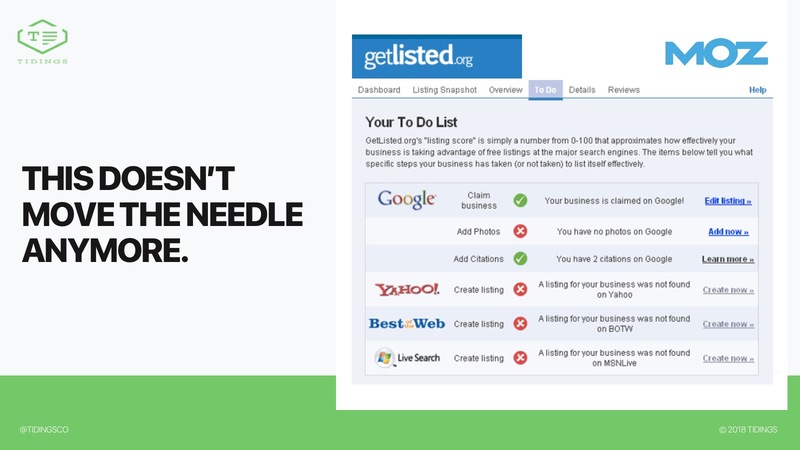 Claiming additional listings at a handful of local directories and adding the proper categories (and maybe a keyword to your business name) along the way was often enough to rank even for competitive phrases. 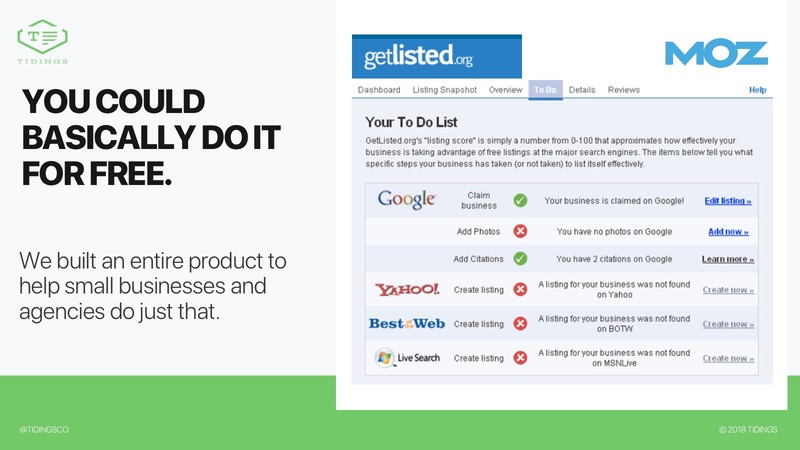 My previous company, GetListed.org, helped over 2 million businesses take advantage of all of this free digital real estate. These were truly the good ol' days of Local SEO. 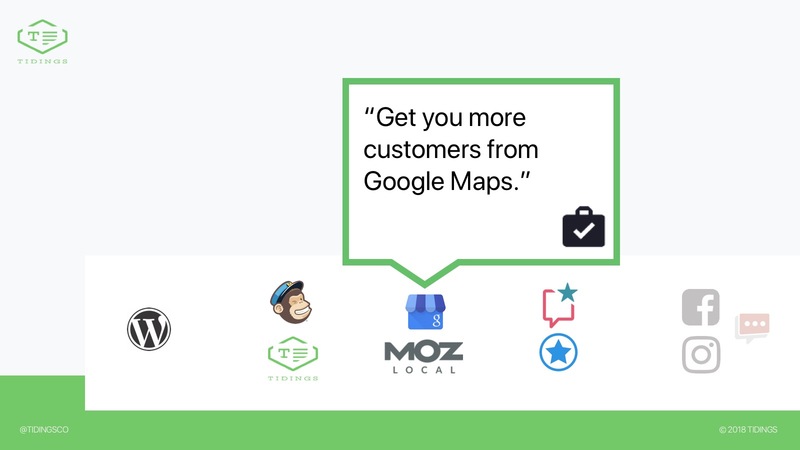 Taking care of basic blocking-and-tackling meant that Google was easily the #1 source of new customers for many local businesses, free of charge. 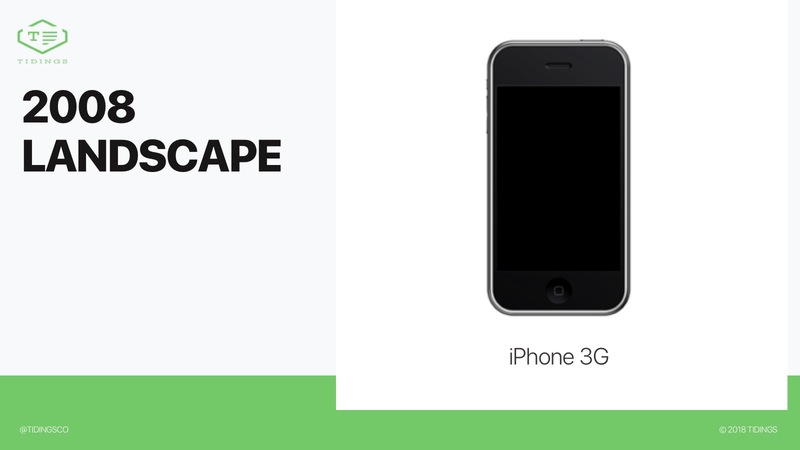 The iPhone truly did change everything. Google became the Google we know today. 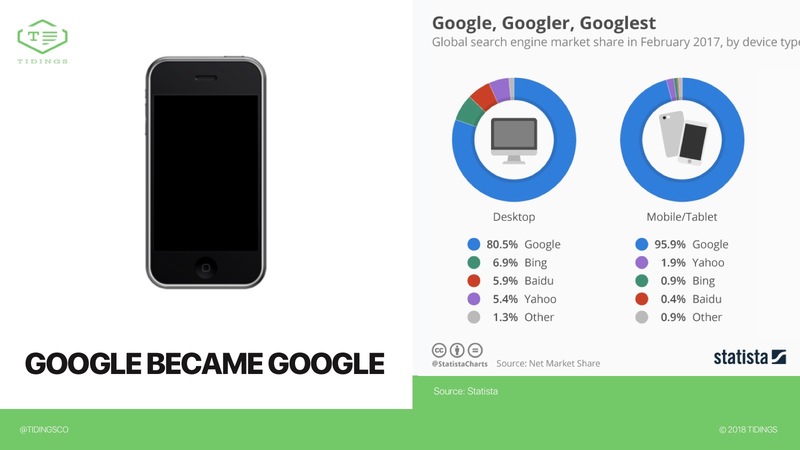 ...but also became even more dominant in mobile search than they'd been on the desktop. Facebook, though, led the way on mobile. 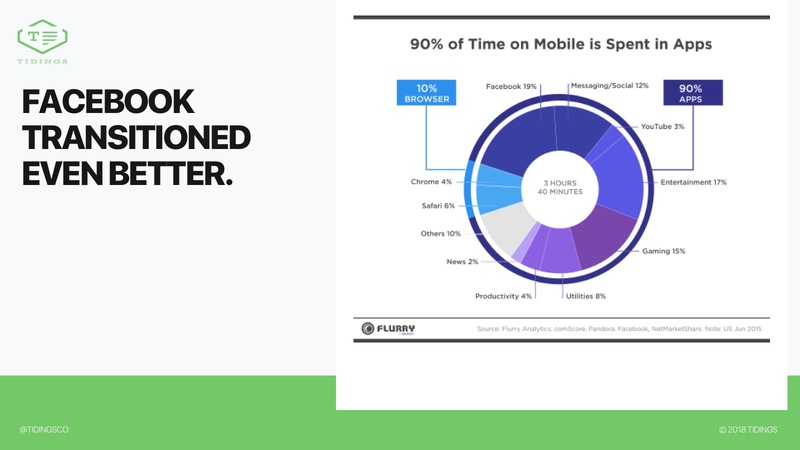 We started spending more and more mobile time in apps--including 1 out of every 5 minutes in the Facebook app--and less and less time in the browser, where we performed searches. Unaddressed, this trend in user behavior had the potential for trouble for Google. Tons of other tech companies jumped on the app bandwagon, too. 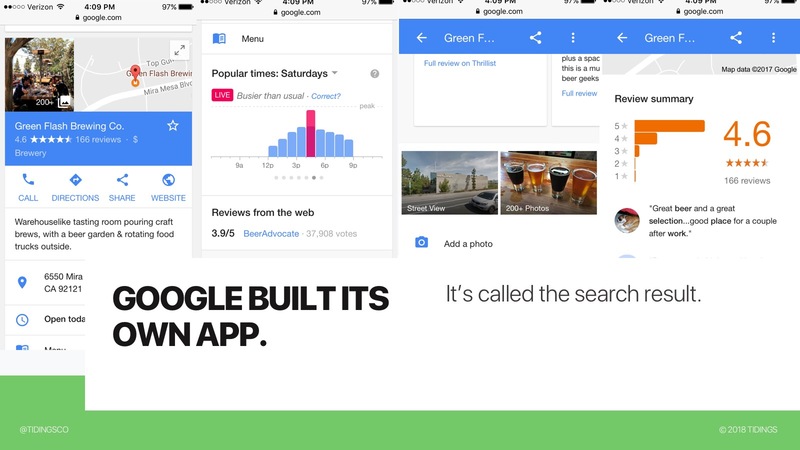 Google built its own app: the search result. 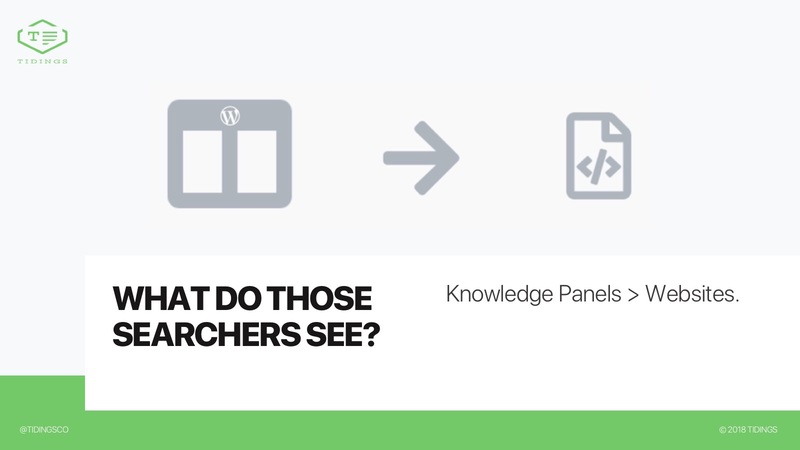 It started to extract more and more information from websites and display everything a searcher would ever need to know in Knowledge Panels. For local businesses, this meant photos, reviews, hours, menus, and more. In this example, why would anyone ever need to visit the Green Flash website? Google attempted to become the "presentation layer of the internet." To my knowledge, Cindy Krum of Mobile Moxie was the first to use this term. 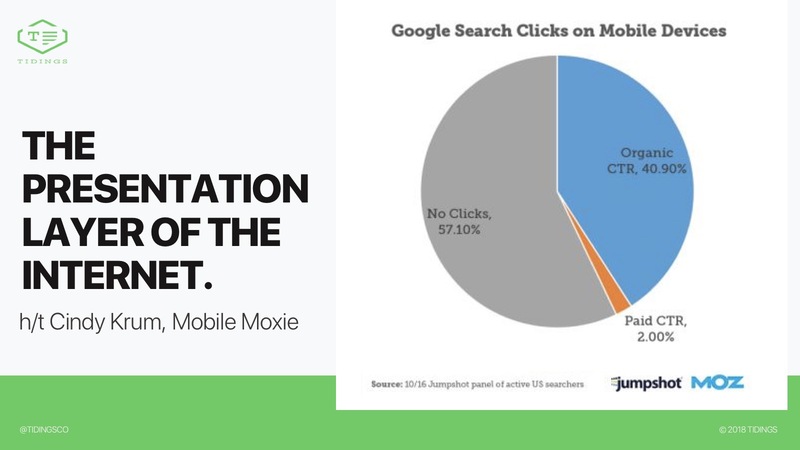 Moz's recurring study with Jumpshot shows that Google has largely succeeded--especially on mobile devices--where only 2 out of 5 searches result in a clickthrough any longer. This "presentation layer" prepared them for voice search. Or as Cindy Krum says, "eyes-free search." 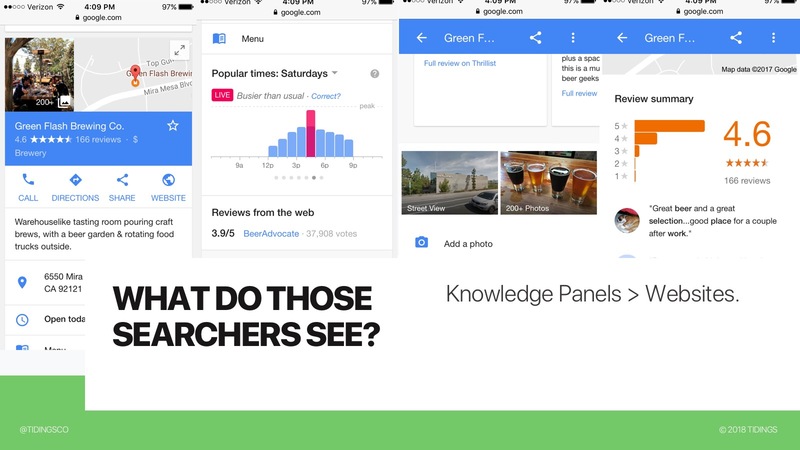 Knowledge Panels are part of this larger trend, along with featured snippets and other types of instant answers. This was incredibly smart on Google's part. A Home Assistant can't possibly read you 10 blue links, let alone the meta descriptions for each of those 10 websites--it'd just take too darn long. Google's move towards presenting structured data from just a handful of businesses prepared them for this eyes-free form factor, which is projected to compose the majority of all searches by the end of 2020. Google took things a step further: they became the transaction layer of the internet. 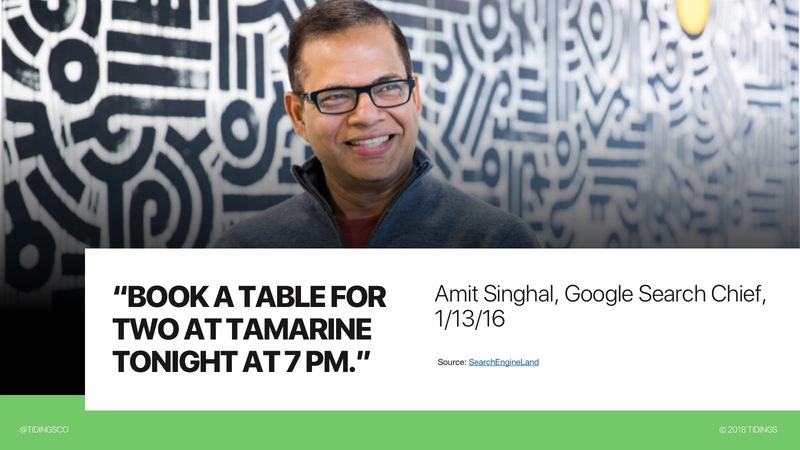 As early as January 2016, it was possible to book a restaurant entirely through a voice command, as Amit Singhal demonstrated to Danny Sullivan. Looking ahead, this functionality positions Google extremely well to become the world's largest affiliate by taking a cut of each facilitated transaction. But I digress. Whether on mobile or in voice results, "if y'ain't first, you're last." Professional SEOs used to joke that the best place to bury a dead body was page two of Google results. But now it's position two. 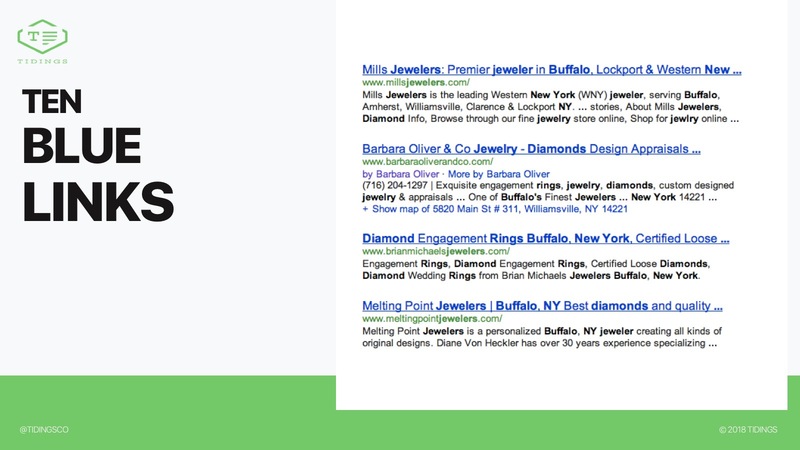 Increasingly Google will automatically select the single best answer for your searches, or give you a choice between at most three local businesses. This has huge implications for anyone ranking in position 4 or lower. A major trend developed in parallel to this move towards fewer, more structured results. 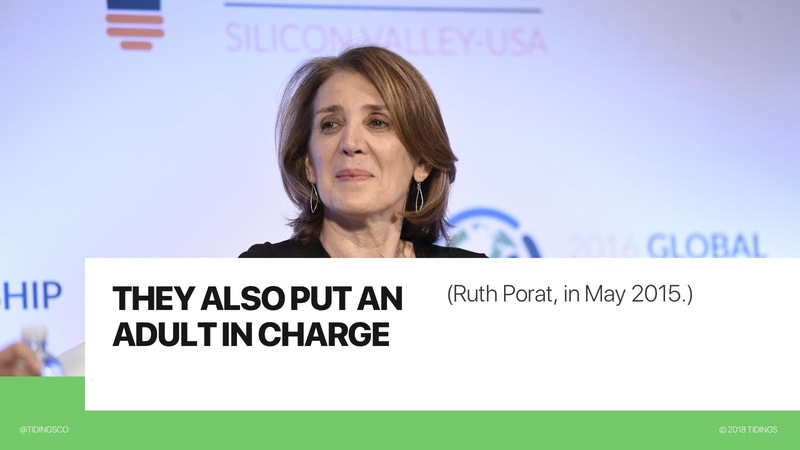 Google's new CFO, Ruth Porat, led the way. Ms. Porat was brought in to make Wall Street happy, among other things. 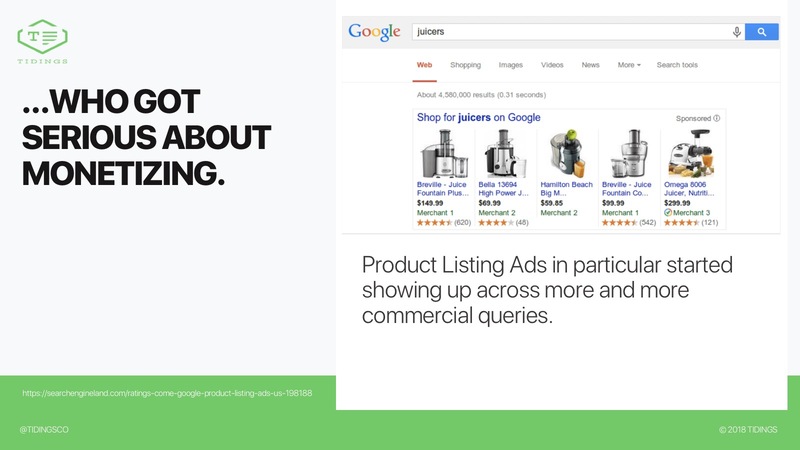 Almost immediately we started to see more ads showing up for commercial queries. 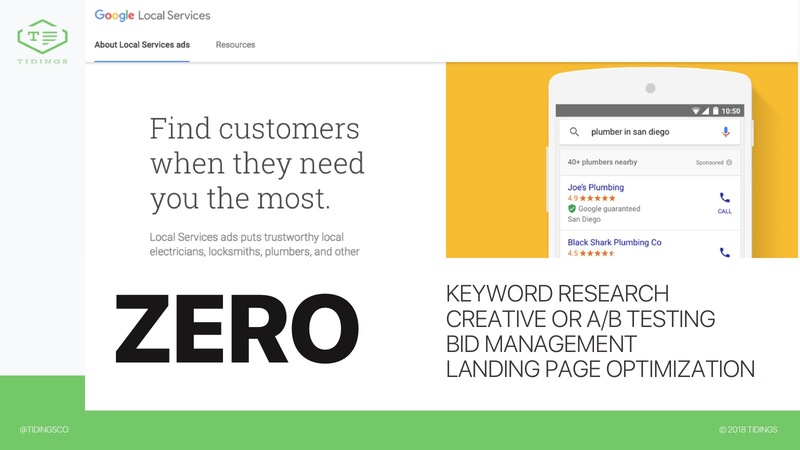 Google ramped up its Adwords team and went hard after big brand ad budgets. They were trying to keep pace with Facebook. Remember that "time spent on mobile" infographic a few slides back? Thanks to that, $FB was eating $GOOG's lunch. 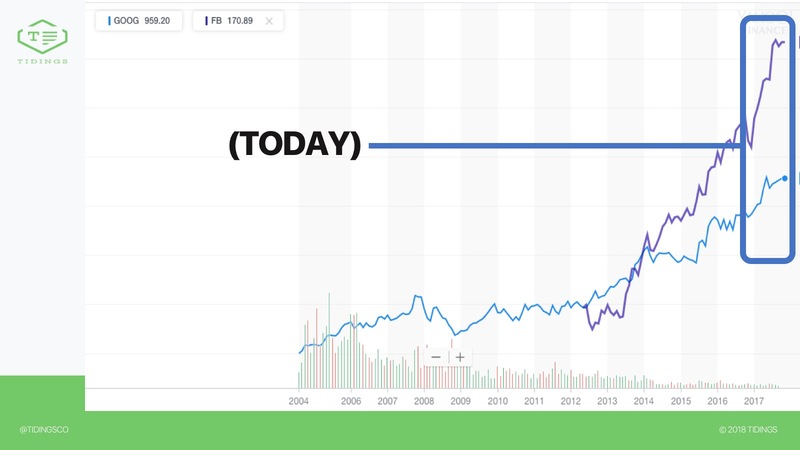 Facebook began to heavily meter organic reach in late 2013, with its stock price taking an eerily inverse trajectory. That decline in organic reach has continued. 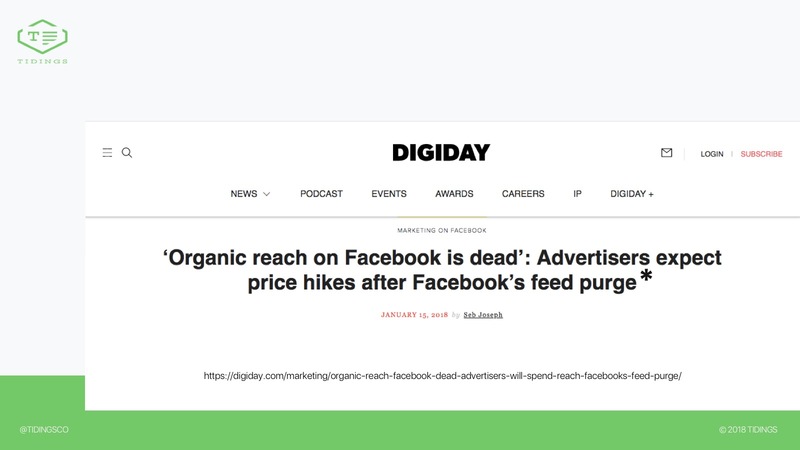 To the point where in early January 2018, many brands have stopped counting on organic reach altogether and recognize Facebook as a pay-to-play medium. 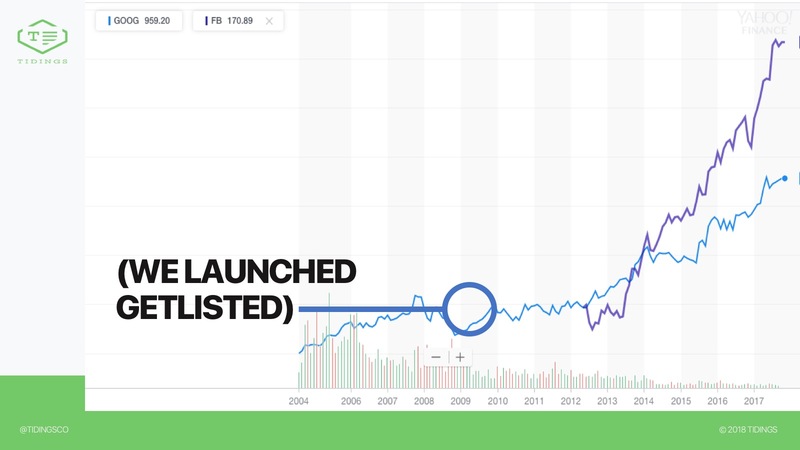 The landscape on both Google and Facebook has changed quite a bit since the early days of GetListed. 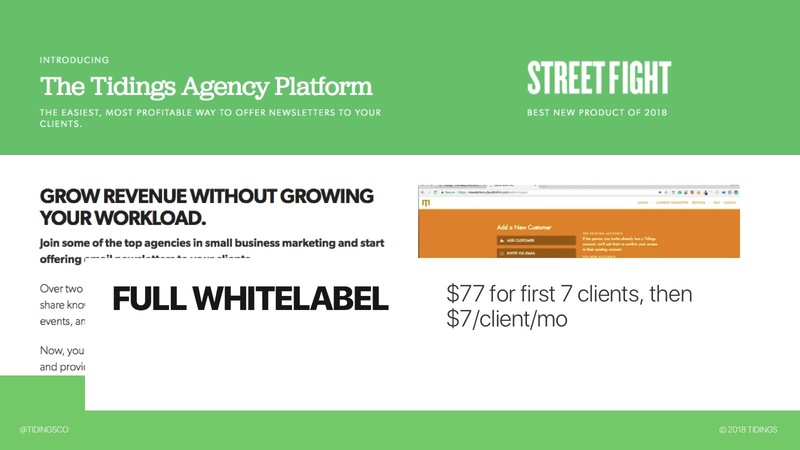 No longer are Google and Facebook content to provide businesses with all that free exposure. They've got shareholders to please. And a growth rate to maintain. Voice represents as big a risk to Google as the iPhone did. And it's unclear whether they'll be as successful in addressing it, at least on the financial side of things. Both Siri and Alexa have garnered a significant share of the voice market, and unlike Google, neither Apple nor Amazon depends at all on advertising for their revenues. 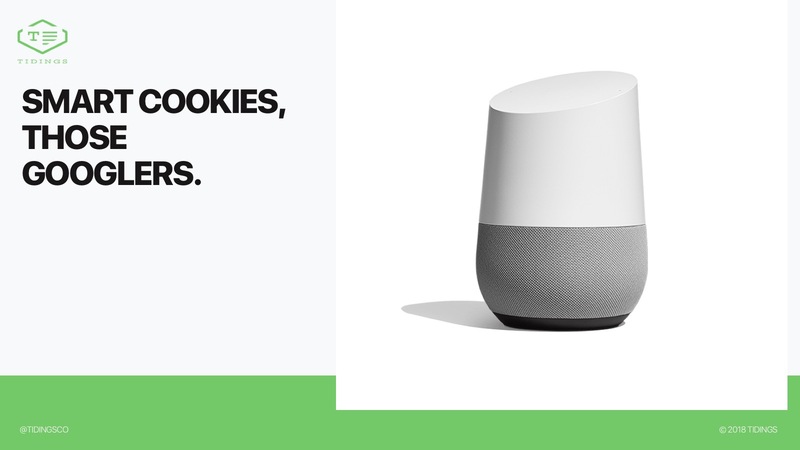 And in many categories, voice will be harder to monetize than either desktop or mobile results--no one will stand for a pre-roll "This answer brought to you by the Home Depot: save 20% on your next order over $100." 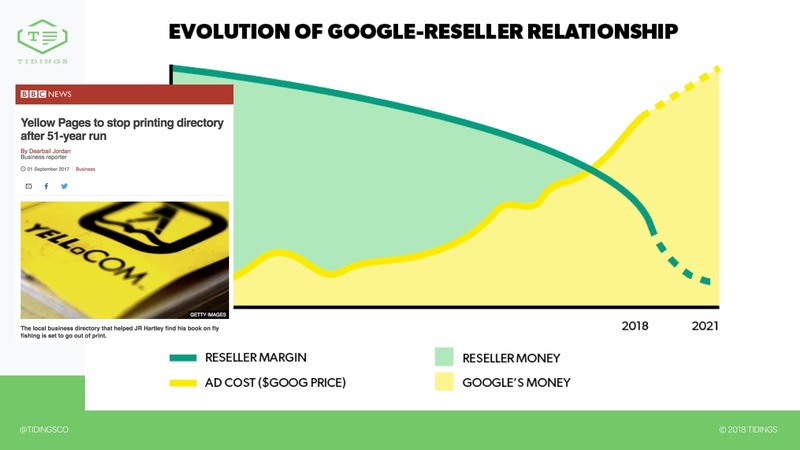 If Google wants to keep growing revenue, it will have to find new markets. 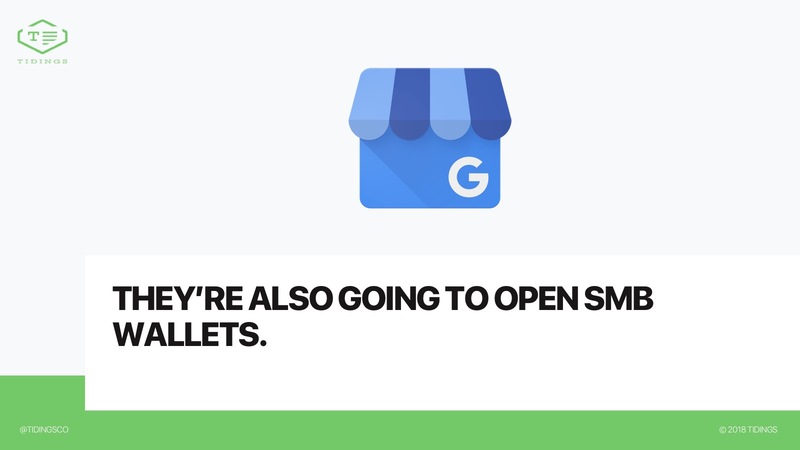 ...They're also going to open small business wallets. Google has basically maxed out the advertising budgets of its larger advertisers and is now turning its attention to local businesses. 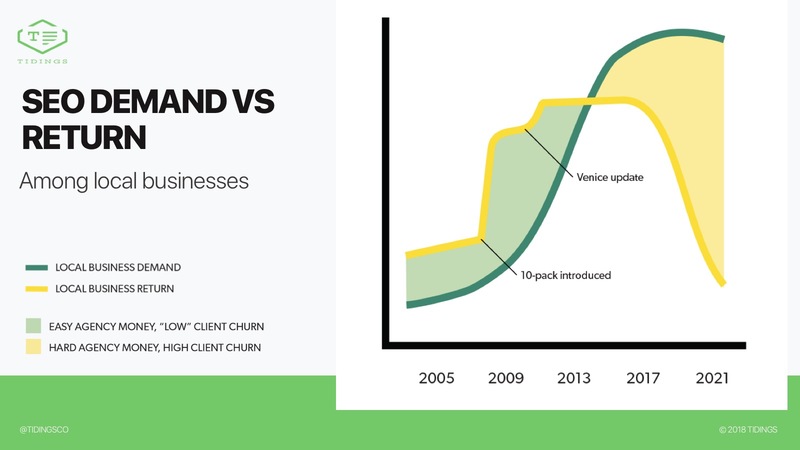 Local packs are being monetized at a tremendous rate. And we'll only see more of this. Many agencies have capitalized on this increased monetization. 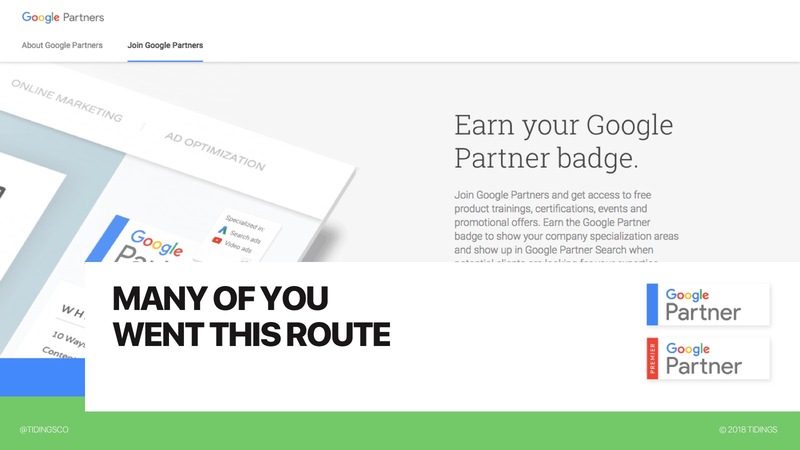 You've beefed up your own paid search offerings and gone down the Adwords certification and partner routes. The problem is, Google is actively moving to disintermediate you on the paid front. Their self-service options are expanding. Adwords Express, long ignored by professional marketers as unsophisticated and untargeted, has improved dramatically. 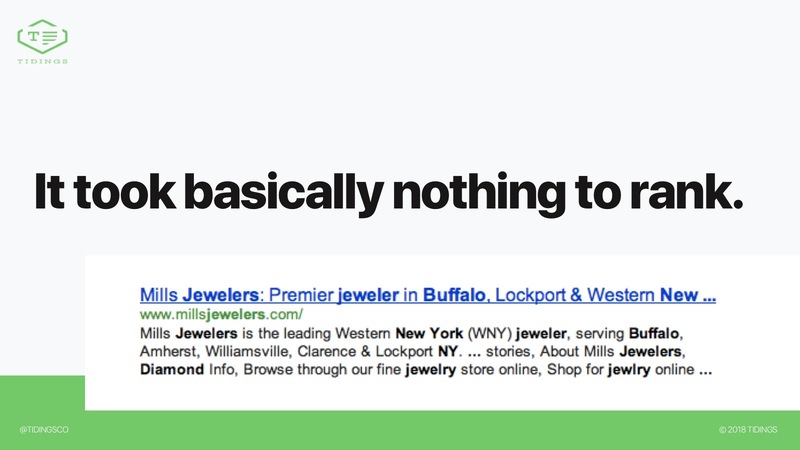 Local Service Ads are the real game-changer. 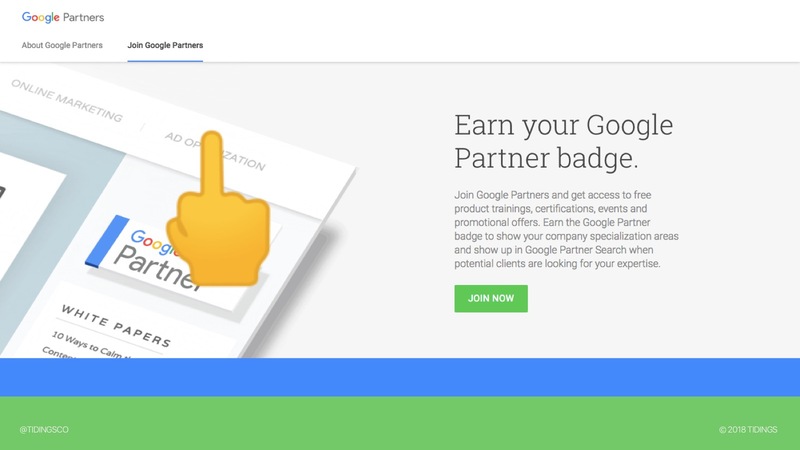 A new program in select industries and geographic markets that comes with a Google guarantee as to the quality of the professionals who are advertising. These ads are sold on a cost-per-lead basis and are a brilliant solution in many industries where Maps results have been plagued by spam. Think of the number of tasks and assets needed for a well-executed paid search campaign. 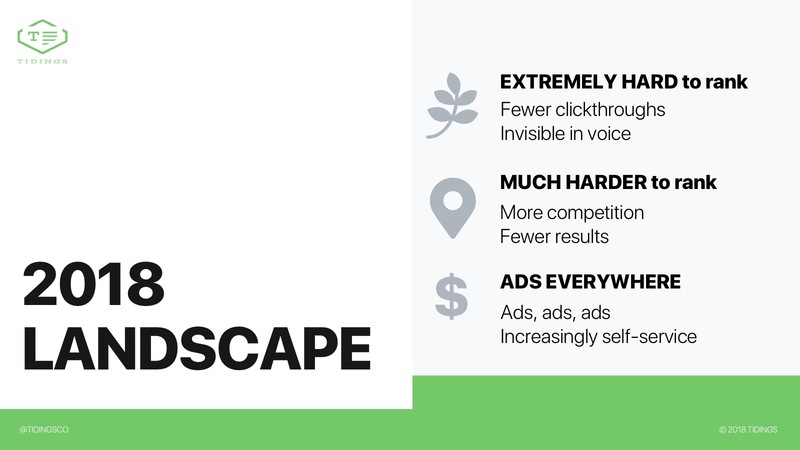 Keyword research, creative development, bid management, landing page optimization, conversion rate optimization, retargeting, and more -- these are ALL being automated by Google through Local Service Ads and Adwords Express. Agencies will simply not be able to compete with free. Google will have more data than even the largest agency or publisher, and machine learning will do a better job of optimizing all of these various tasks and components than any individual agency could ever do. 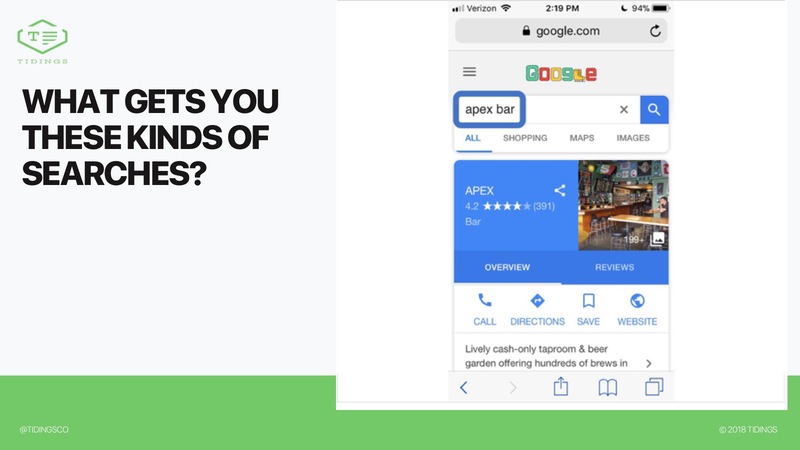 Local Service Ads are as big a disruption for paid search agencies as the Local Business Center was to the Yellow Pages industry. 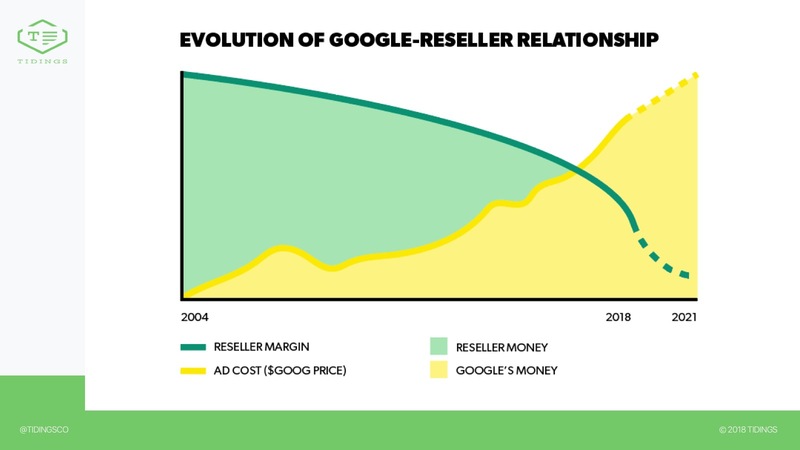 Your reseller margin is trending rapidly towards zero. 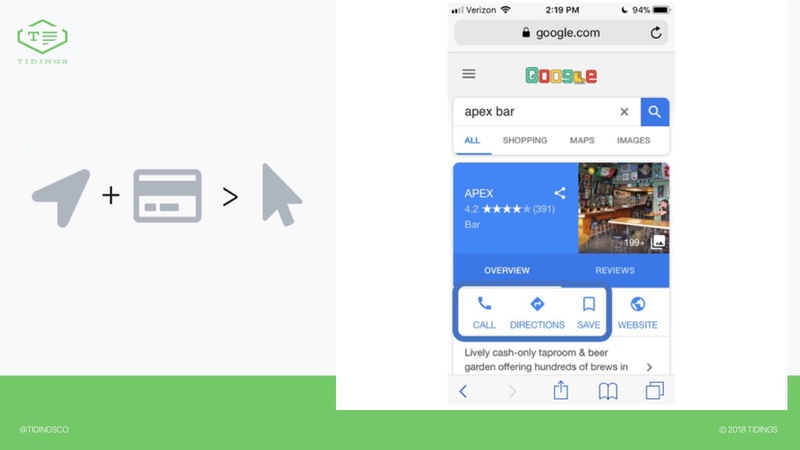 As Google optimizes more and more of these features itself, and reaches directly into more and more small business's wallets, where can you still add value? Your options are slim on the Adwords front. 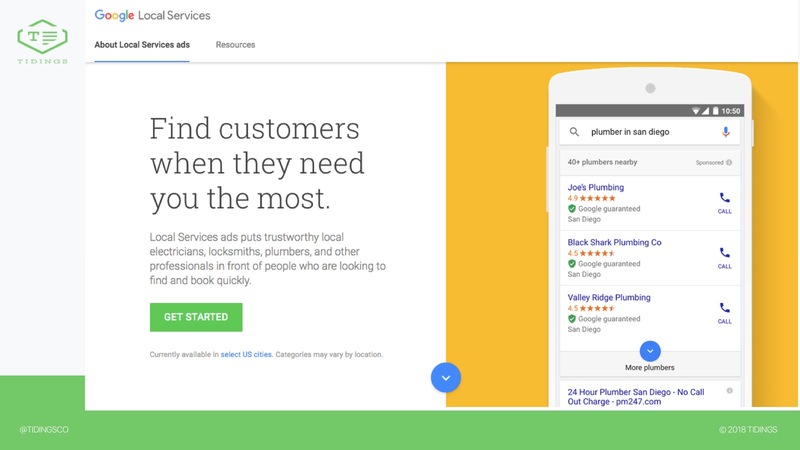 Available to any and all Adwords resellers serving local businesses! And my summary of the current (and future) landscape. Fewer clickthroughs on fewer organic results. More competition for those results. And a ton of self-service ads. 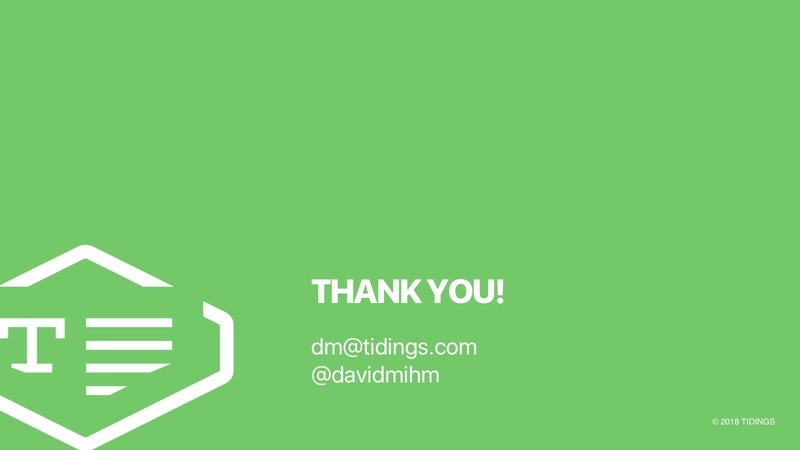 Here's a visual recap of the last 35 slides. 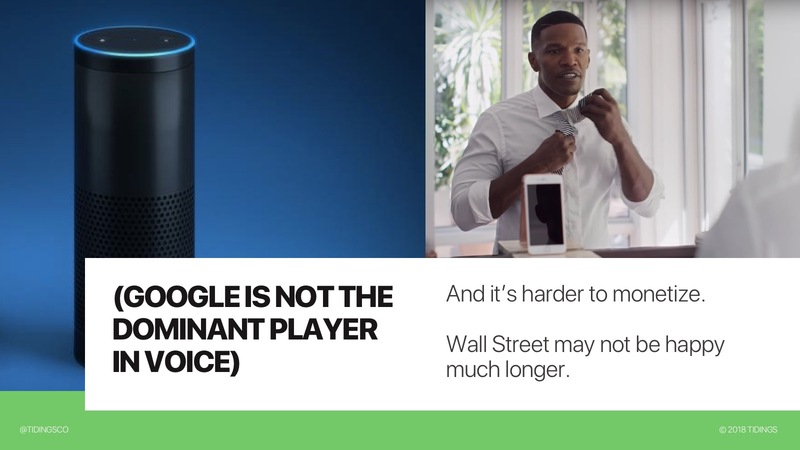 At some point we'll reach an equilibrium on the ad front as Siri and Alexa place downward pressure on Google's ability to monetize voice, but that's still a couple years away. All of this is happening at a time when small businesses have finally grasped the concept of SEO. Back when I started in the mid-2000's, you had to explain the acronym to most businesses. It's now become one of the most in-demand marketing channels, as we'll see in a few slides. But the increased competition, opportunities for organic visibility, and market forces mean it's simply not as viable a channel for many local businesses as it used to be. 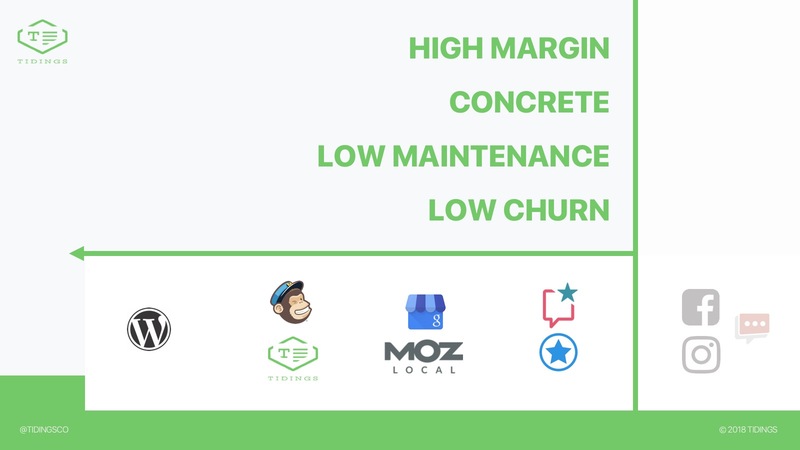 For many agencies, hanging your hat on traditional SEO services will lead to high churn among your clients. Here's how I think you can adapt your agency to this new reality. 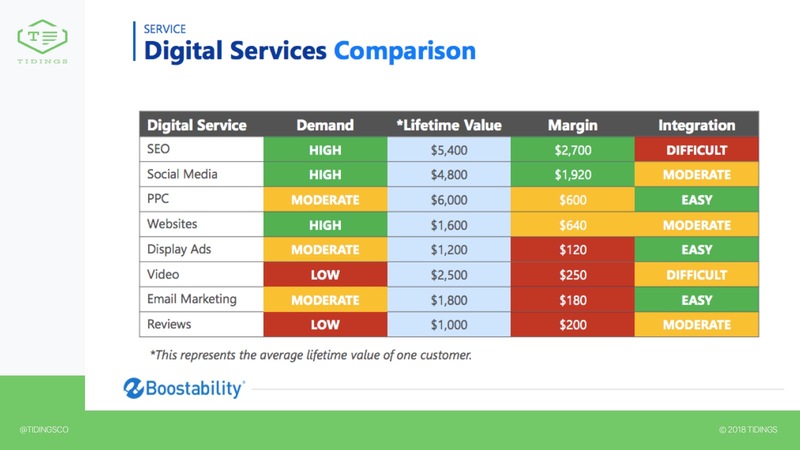 As an agency, I don't think you have a choice: you MUST diversify your service offerings as Google and Facebook limit organic visibility and make their ad options increasingly self-service. 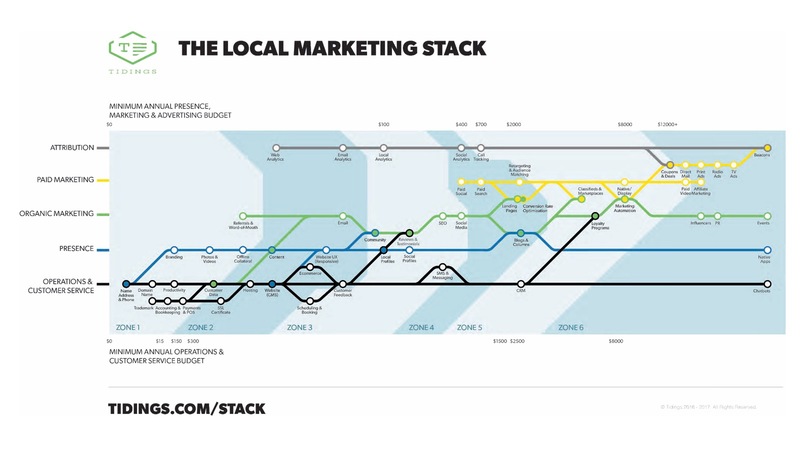 Let me take a few slides to explain the Local Marketing Stack. You can either click to zoom, or visit tidings.com/stack to view the full version. 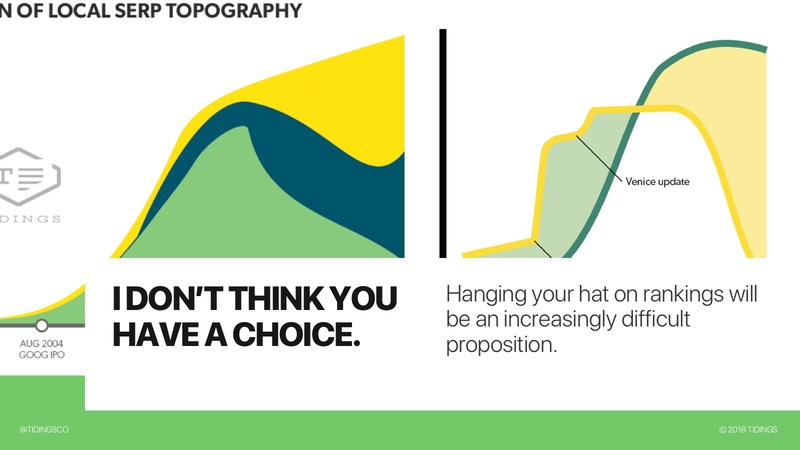 The graphic is meant to be read from bottom-left to top-right, starting with the most fundamental components of successful marketing up to more sophisticated, more expensive, and more optional elements. The Stack is arranged on five key lines, to be read from bottom to top. Operations & customer service are the foundation of any successful business and can make all marketing a lot more cost-effective. Presence is the next line--what do you look like to prospects and customers who have heard about your business? 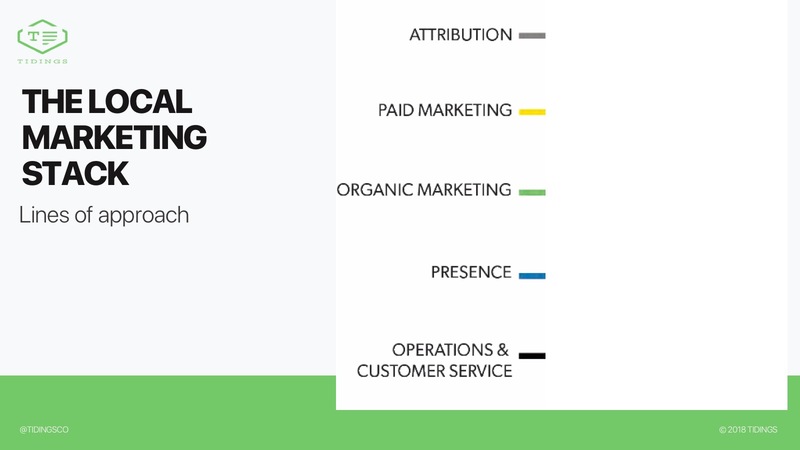 Organic marketing is next: techniques and components that are low-cost in terms of dollars but may involve significant time or other resources to do well. Next comes paid marketing which is where most traditional advertising lives. And finally attribution. Which is REALLY important for professional marketers but the line that I've found most small business owners rarely have the time or expertise to make maximum use of. The graphic is also meant to be read from left to right. 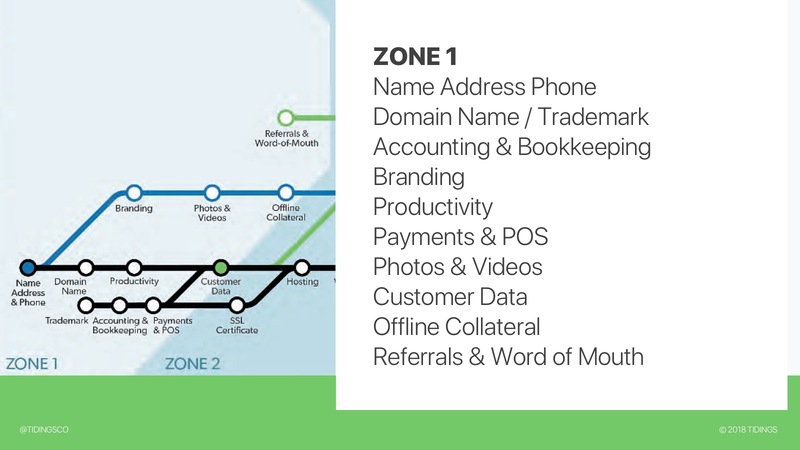 Zone 1 is sort of the "pre-marketing" zone and contains elements essential to running a good business: things like a business email address, a point of sale system, and good collateral assets. 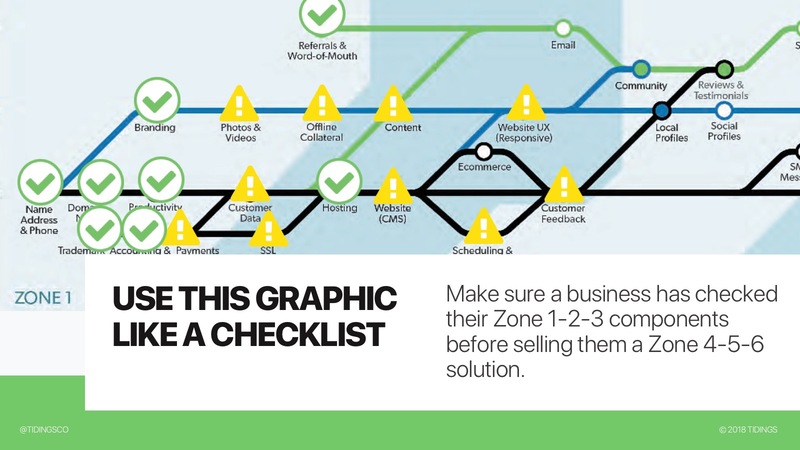 Zone 2 focuses on basic marketing assets. Businesses should implement fundamental marketing assets like a website and an email list in this zone before moving on to higher-order marketing. 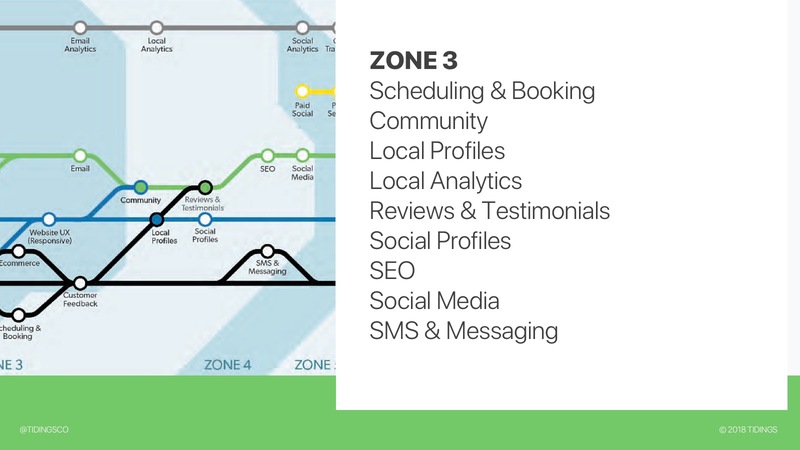 Zone 3 is where businesses should focus on free digital marketing options. Businesses should next focus on components that improve customer experience such as online scheduling and booking and SMS reminders. Some of the first "earned" marketing takes place here with components like local and social profiles and participation in community events. 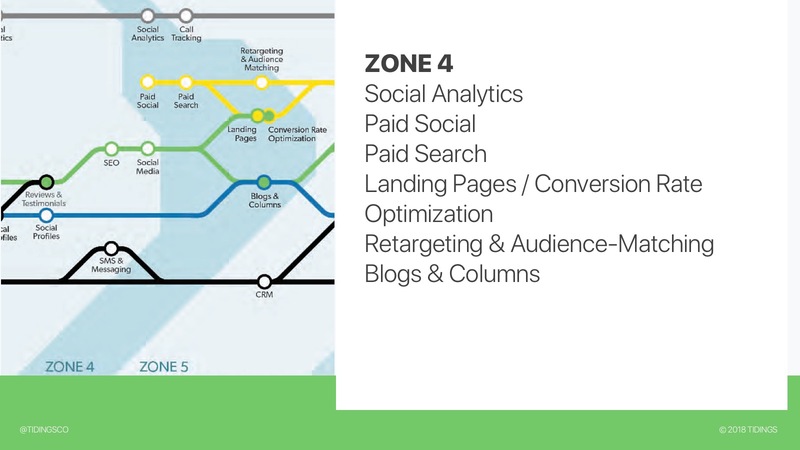 Zone 4 is the beginning of paid marketing. It contains many of the components that Google and Facebook are actively automating, as well as time-intensive blogs and columns for those businesses without the financial budget to spend on acquiring customers. 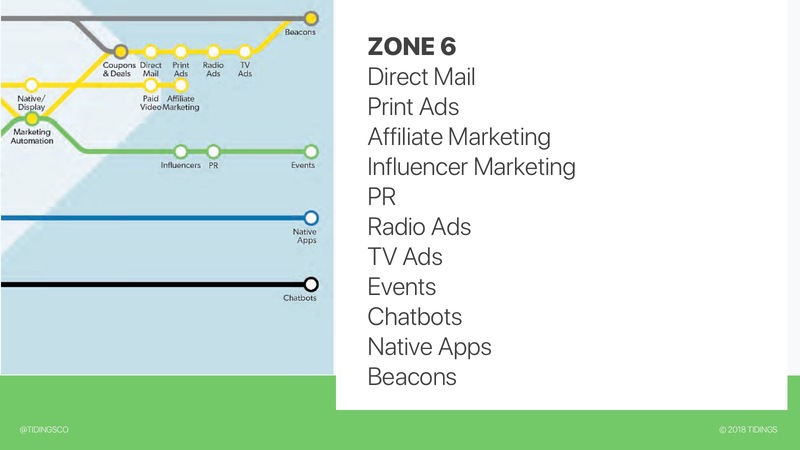 Zone 5 is where many venture-backed startups are focusing. 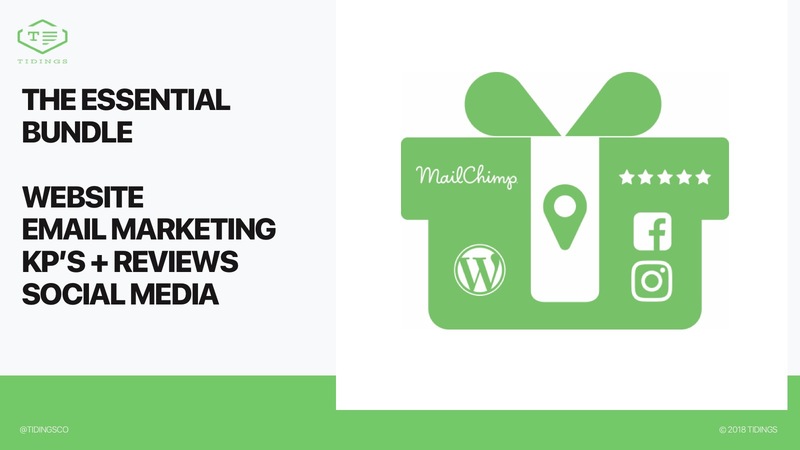 Most elements in this Zone are realistically only accessible for medium-sized businesses with at least one in-house marketer. In many cases they're either too complex to manage without one, or too expensive to get started with. 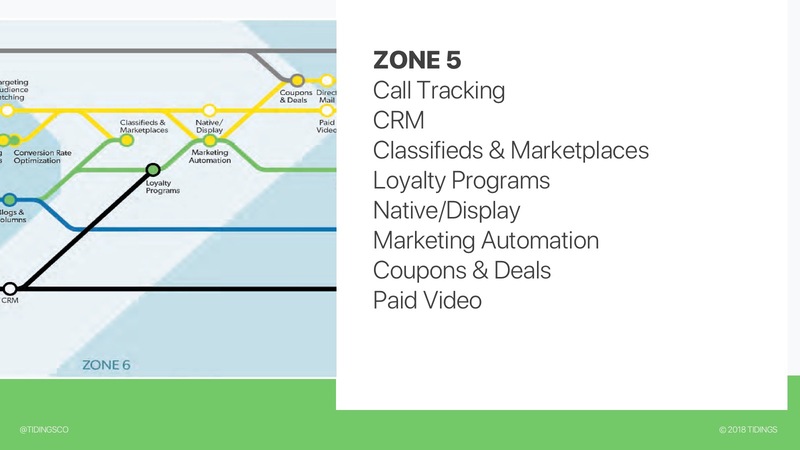 Zone 6 features bleeding-edge as well as legacy/traditional channels. 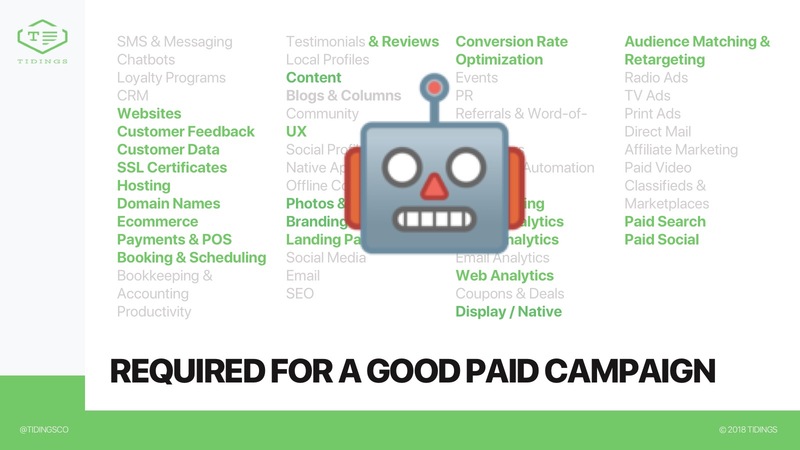 These components (like beacons and chatbots) are either as-yet unproven in terms of ROI, even more complex for the average small business to figure out (affiliate marketing and influencer marketing), or just plain expensive relative to return (radio and TV ads). I'd encourage you to use this graphic like a checklist. Make sure that your clients have satisfied the prerequisites for each component before selling them such a component. For example, don't sell an Adwords campaign without a mobile-optimized landing page to send those clicks, and don't sell a review acquisition package unless you've already helped business implement a customer email address acquisition strategy. 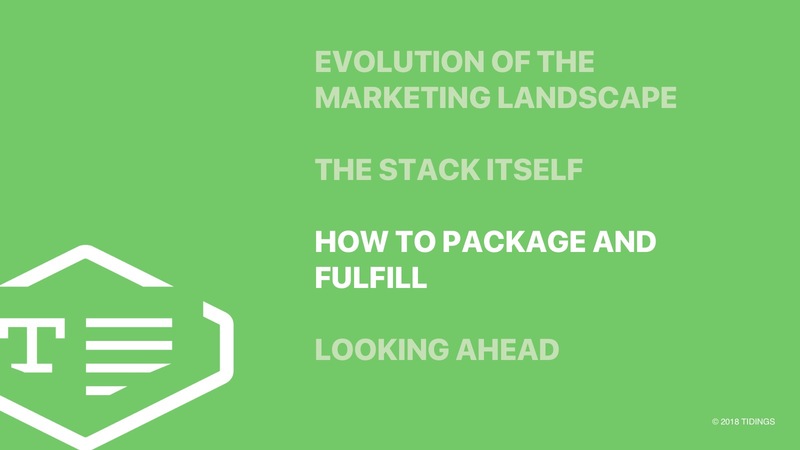 It's not feasible for most agencies to offer a complete marketing stack, but let's look at the key components. There are some incredibly common themes in terms of what your customers think works, and whey're they're planning to spend money. It's important to acknowledge that many small businesses are already piece-mealing their marketing stacks themselves. Other than Square, I've yet to see an end-to-end solution from a single software vendor that does a good job across each of the major Stack components. The reality is that point solutions are always going to be better and more cost-effective. 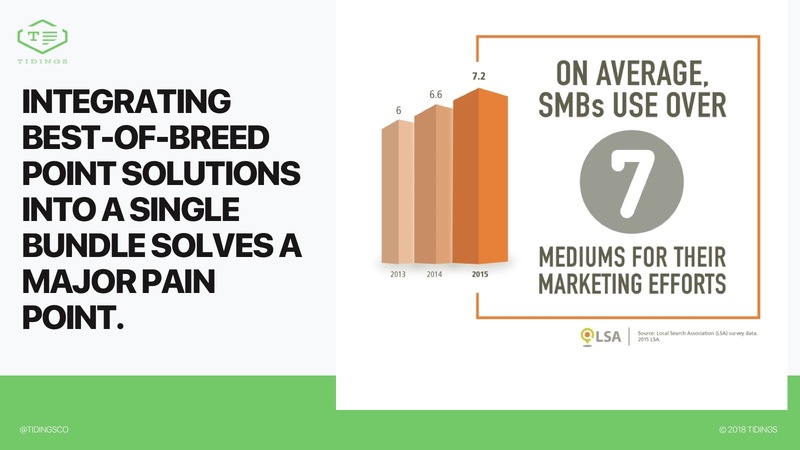 Identifying which vendors make sense for which businesses, and helping SMBs integrate their own best-of-breed Stacks, is the most defensible market position I see for agencies over the next 5-10 years. 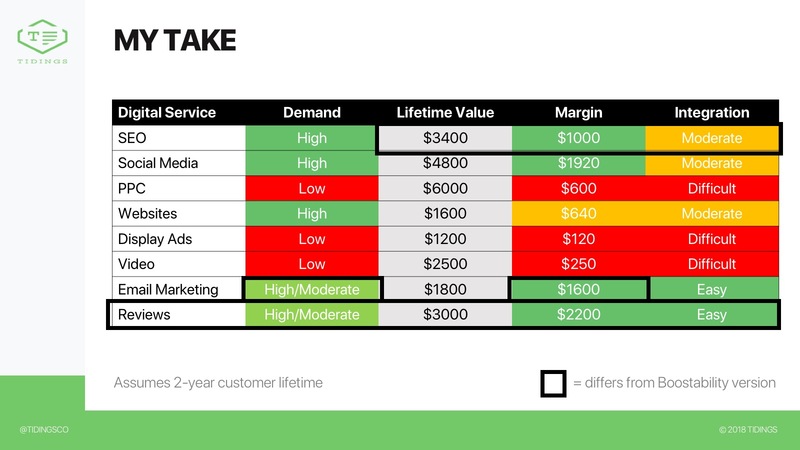 Here's what I see as the table-stakes marketing bundle. 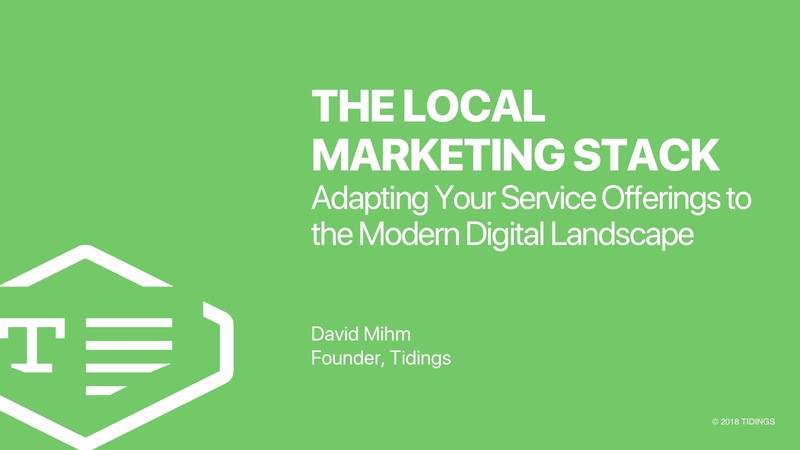 Based on priority within the Local Marketing Stack, as well as SMB demand. Here's one of the biggest reasons I suggest your agency configure its offerings in this manner. Your hard costs on each of the core components are extremely cheap. 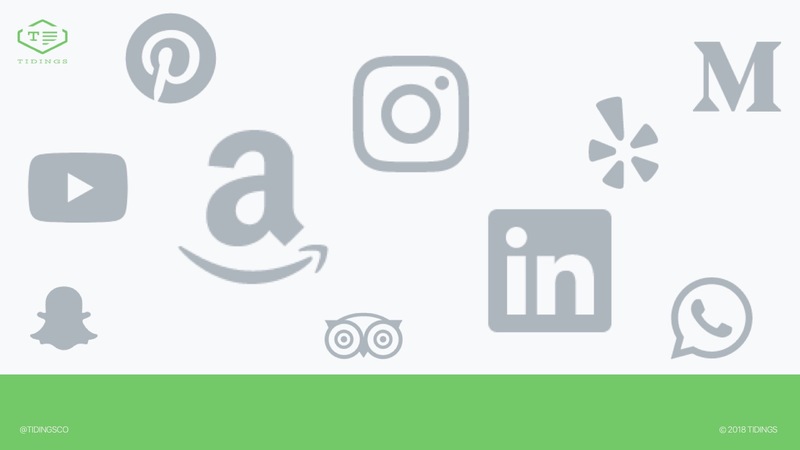 Depending on your customer segment, it's probably a good idea to allocate at least some budget to sponsored posts on social media, given the demand of your customers and the relative effectiveness of those ads. 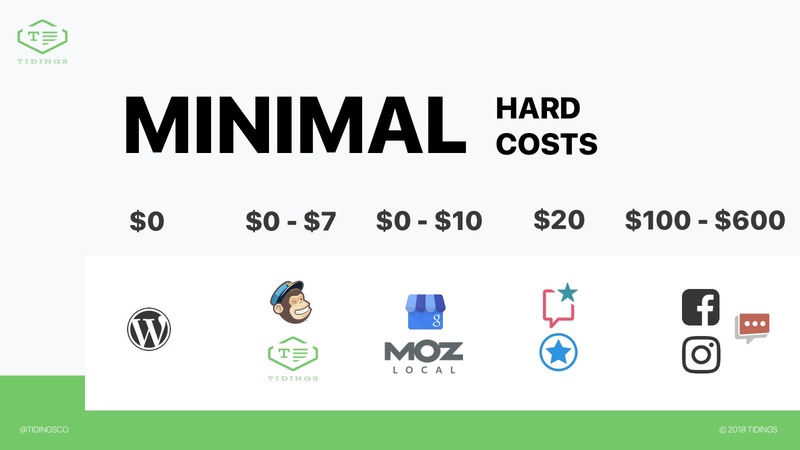 Beyond hard costs, there are five big reasons this bundle works from an agency standpoint. Unlike traditional SEO, which involves complicated concepts and often takes months or even years to show results, each of these components is concrete and understood by the business at a visceral level. Deployed in the right manner, the maintenance for each is minimal. And each one of these is a sticky product, with self-reinforcing performance over time. But perhaps the best reason to sell this bundle is that it's easy to sell. Both the salesperson and the customer can instantly grasp the value of each component. Abstract the technical complexity of a responsive website. Take the time required to send a newsletter from a couple hours to a couple minutes. No more technical mumbo-jumbo when it comes to SEO. Particularly since you should be focusing on Knowledge Panel optimization that your customers can see anyway. Here's where you might take a few seconds to explain how and why reviews are so important. 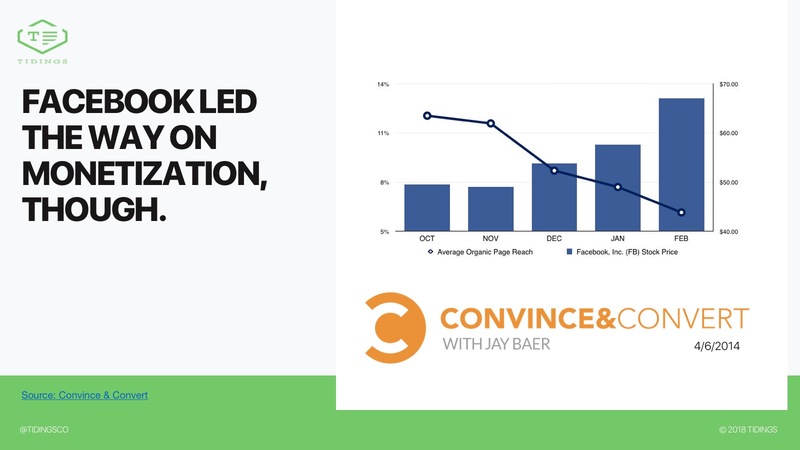 Not just for conversion, but also increasingly for rankings. Studies show that small businesses do value review acquisition and "reputation management" but may not understand how central this component is to their SEO. For higher-spending customers, there are plenty of extensions you can offer to increase their return. In many cases these are more complex and may require significant person-hours from your team. But that's why they're extensions and not part of your core offerings. I LOVE this graphic from Kelly Shelton of Boostability. It's an excellent framework for deciding which product and service offerings your agency should be offering. You're looking for high-margin, high-demand products, obviously. While I love the framework, I disagree slightly with the specifics of how Boostability is bundling and selling its services. 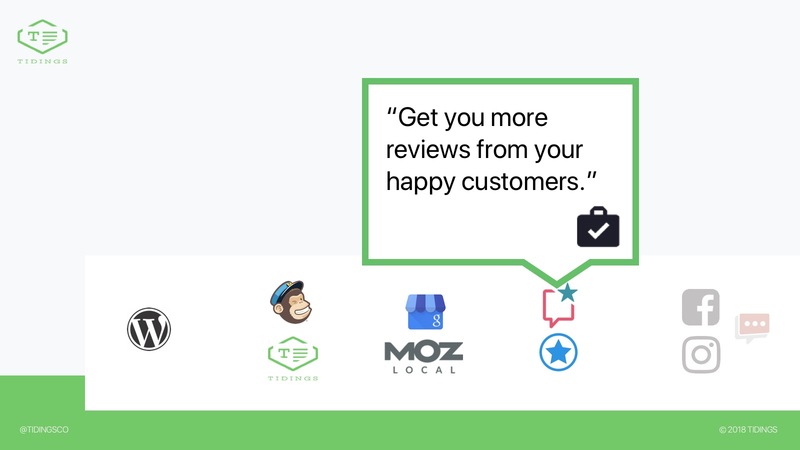 As I mentioned on a previous slide, reviews should be sold as part-and-parcel of any SEO package, which increases the demand for that component as well as its profitability. And I don't quite understand why Boostability rates email as such a low-margin product--perhaps they should be reselling Tidings :). 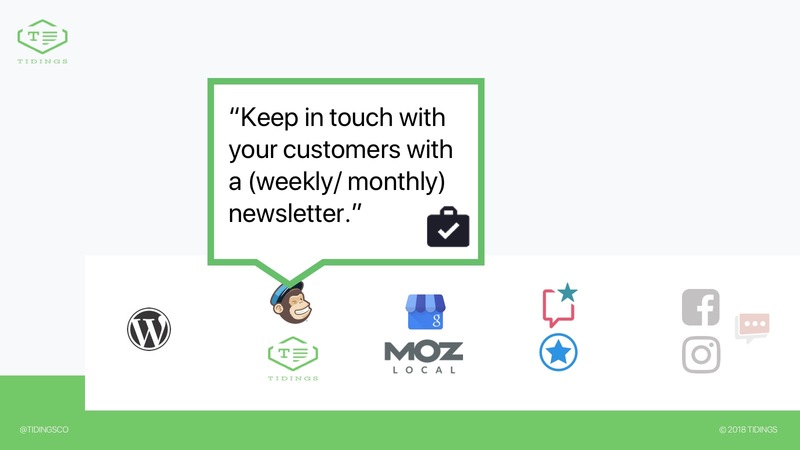 Our product makes it easy to start offering email-as-a-service. 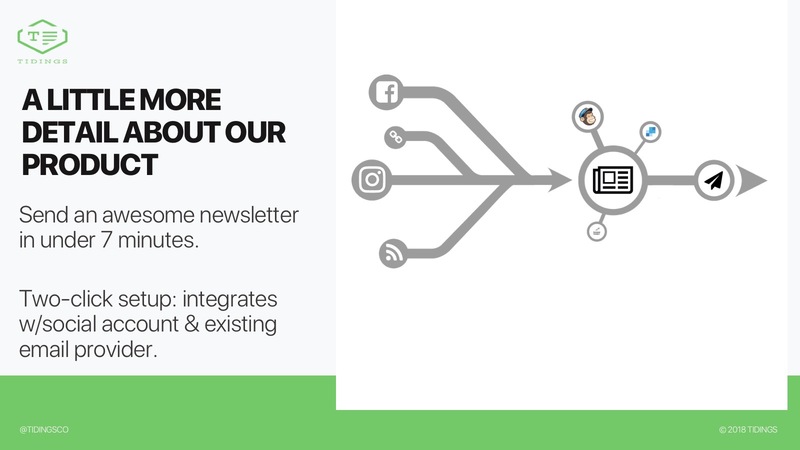 Just connect the social account of your choice, subscribe to any RSS feeds or bookmark any link, connect your email service provider account, and bingo you've got a killer newsletter. 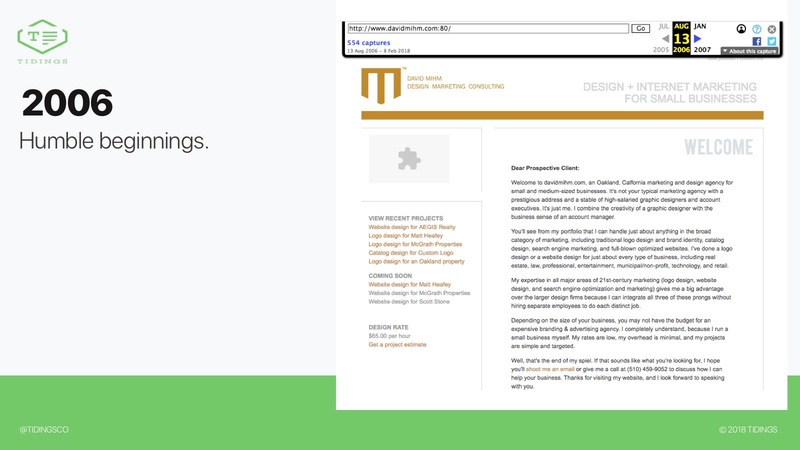 You can make Tidings your own with our whitelabel agency platform. And our pricing is incredibly margin-friendly. 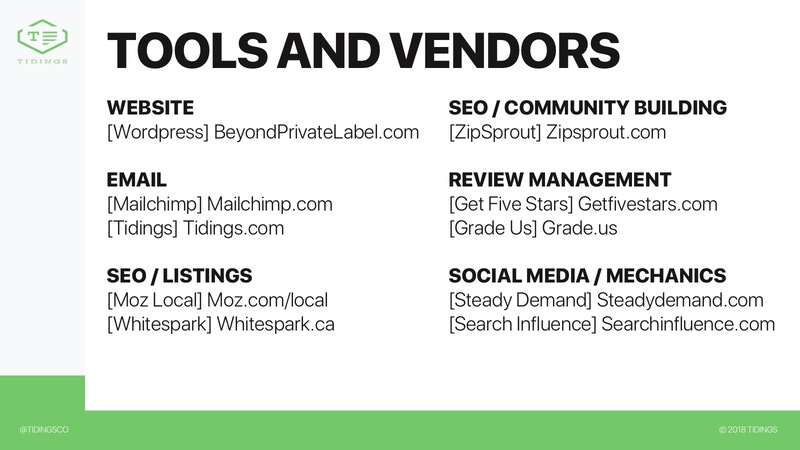 Here are a few other vendors I recommend as you deploy your bundle. But of course there are tons of other great ones who don't fit on this slide. 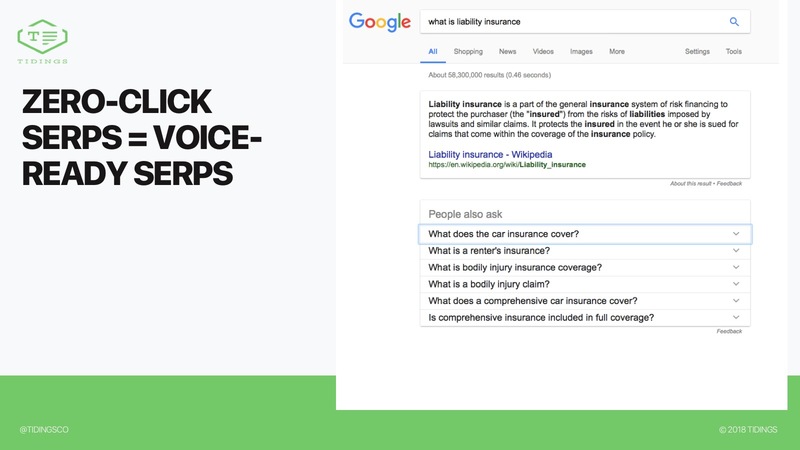 As disruptive as Google organic results were for the Yellow Pages industry, I believe that the trends of voice search and monetization will be just as disruptive for agencies. Now is the time to begin evolving your business model. 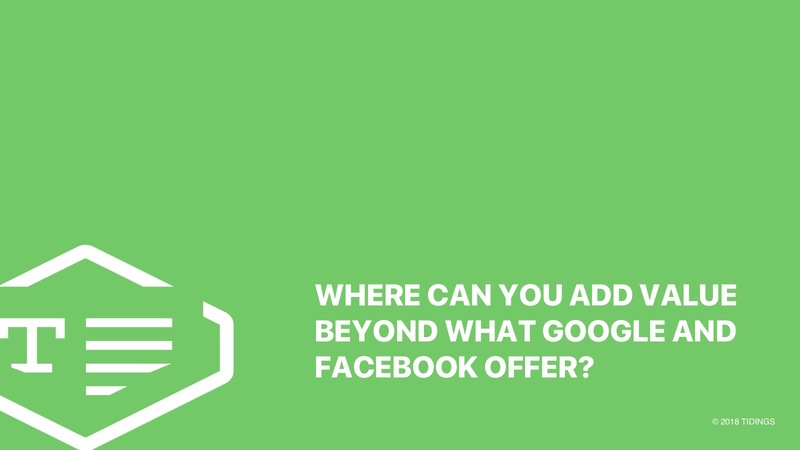 Where can you add value beyond what Google and Facebook offer? For local businesses--note: not for ALL businesses--Links, Title Tags, and Citations are becoming relegated to the dustbin of historical ranking factors. Engagement will be the difference-maker within just a couple of years. Basic citations are now table stakes. And most of the longer-tail ones have literally zero value to the average local business. Reviews are a much more reliable ranking factor for Google. Anyone can leave a review of any business--reviews doesn't require a website to give or receive a link, and they're a much more accurate signal of the vitality of a business than an ancient citation from a decades-old data aggregator. As I mentioned previously, I think you should focus your future SEO efforts on Knowledge Panel optimization. On-site SEO will basically consist of providing an XML or JSON feed to Google. Increasingly, what will matter is engagement with a given entity across a number of different factors. You should adjust your service offerings accordingly. Help your clients with great photos, reviews, service menu items, Q&A, and getting set up on booking services that integrate with Google. At the present time, Posts are a great area for you to add value. 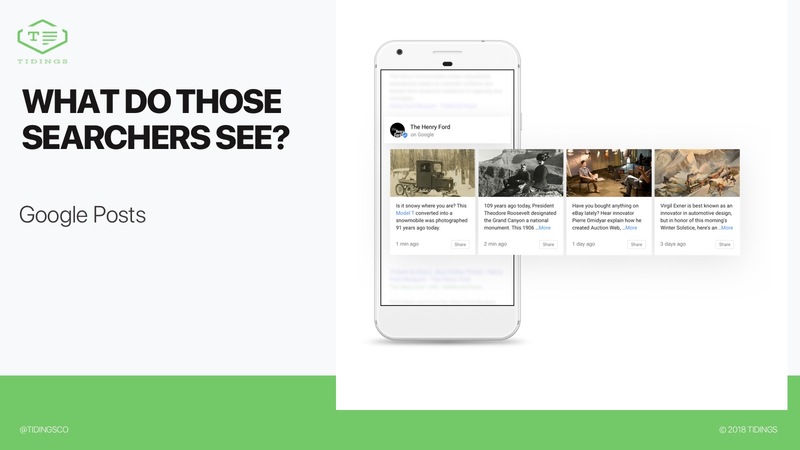 They're easy to create, but few businesses have the time to Post on a regular basis, the knowledge about what makes a compelling Post with a clear call-to-action, and the ability to track the effectiveness of (and A/B test) high-performing Posts. Start thinking like a full-service marketing agency, not just an SEO agency. 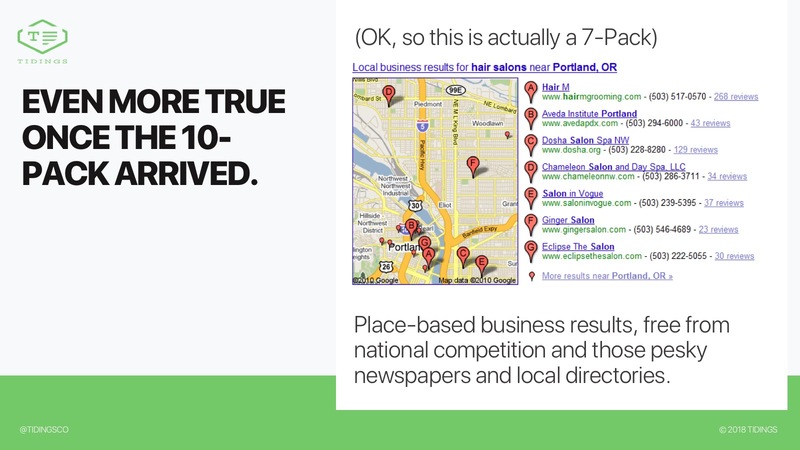 IMO brand searches have been a powerful hidden ranking factor in local search for years. Start thinking about how you can get your clients noticed in the community where their customers are searching for them by name rather than by keyword or category. Engagement is not just digital, either. Don't get me wrong -- clicks for driving directions and phone calls are great. But Google has been surreptitiously tracking Android users' location for years (it's how they've built the Busy Times feature of the Knowledge Panel). And in 2017 they signed a deal with the major credit card companies to gather data on approximately 75% of all U.S. transactions. It's only a matter of time before these real-world engagement metrics become local ranking factors, if they're not already. 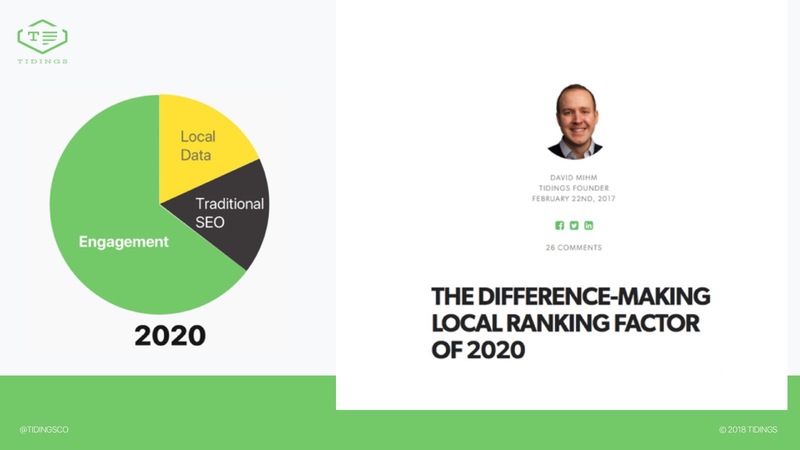 SEO is not dying, but the effectiveness of traditional SEO techniques in Local Search is. You have to adjust your offerings to this new world of Knowledge Panels and Ads, diversify your services away from selling rankings, and start packaging your services differently, or else you're going to end up with a lot of unhappy customers. And don't make the mistake of thinking that becoming an Adwords reseller will save your business. Google is actively disintermediating Local Adwords resellers: your margin is going to continue to drop. In the last 10 years they've put countless Yellow Pages companies out of business who thought this business model would save them. Don't be Google's next victim. Thanks Maurice! Appreciate your kind words. Great presentation and Lot’s of great insides and truths. 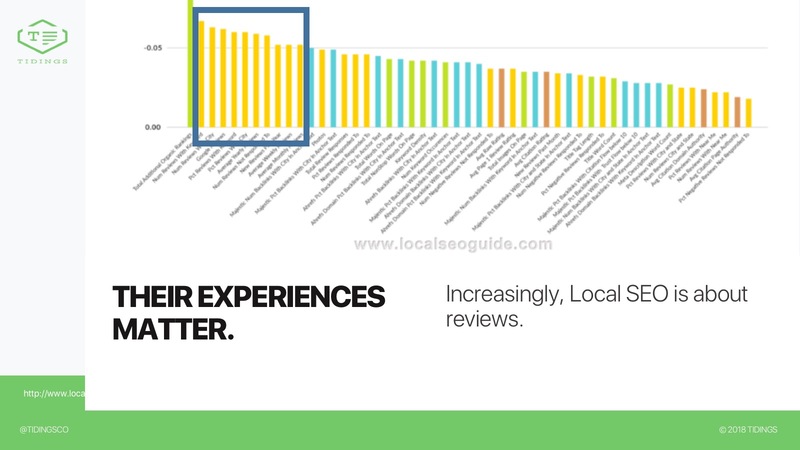 For the local SEO there will be a lot of challenges and opportunities. Exciting times lay ahead for all of us. It seems like all the SEOs I’ve know in the past 10 years are moving on to non-SEO disciplines or simply focusing on one thing similar to your recommendation like knowledge panel (or featured snippets). Great presentation! Thanks for sharing. Your assertion that Adwords Express is getting better and will put PPC agencies out of business. I disagree with this. I see no market acceptance that express is better and clearly looking at the tools to manage both, the ability of a qualified PPC practitioner to generate a better return is unquestionable. Now you might is it so much better to offset the fee charged. That depends on the fee charged so here you may be right that the PPC margins get squeezed. 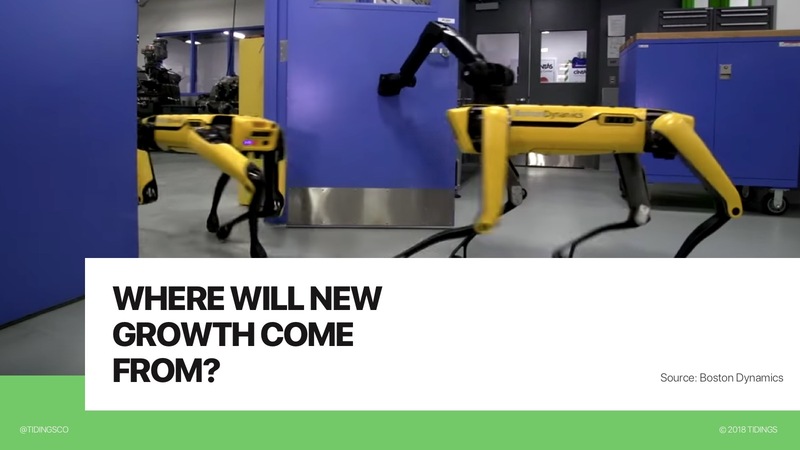 I would also agree that AI systems will do a better job than humans but that is likely to be on large accounts with requisite data for the next several years. Secondly, reviews. Do you see a point when the public becomes dissatisfied or distrusts reviews to the point they are not useful marketing tools? I mean much like links there is a huge ecosystem developing around fake reviews ( For example The Washington Post ran a huge article about this last week) and also last week Google stated they have changed their policy around bulk review solicitation. And while I think it will be hard for them to police this change the last thing you want to see is the typical heavy handed Google response that takes out the good with the bad. 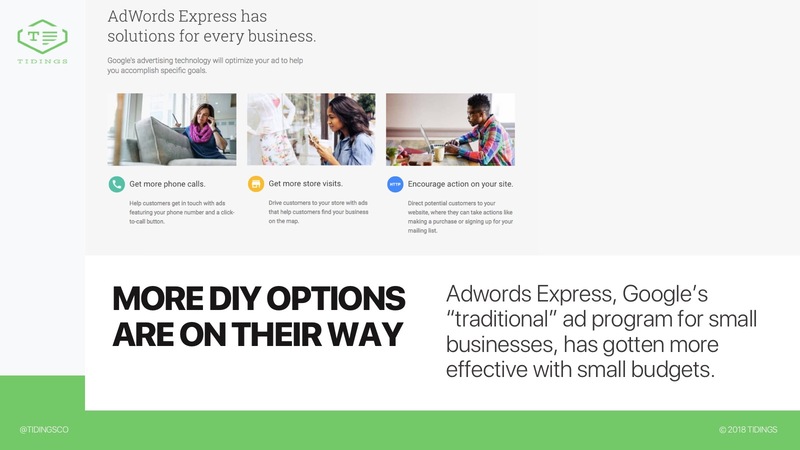 Mike Blumenthal and I have covered a lot of the Adwords Express conversation in particular in our various columns on Streetfight. Even if there isn’t yet market acceptance, Google is actively building self-serve organic products to get more SMBs in their “direct” funnel. But I agree that the considerably bigger risk for agencies is the Local Service Ad, which has been wildly popular with SMB advertisers AND which Google is actively selling direct. Rumor around the LSA conference today is that these are rolling out in 100+ markets very shortly. Google will use AI across SMBs *at scale* (i.e. ALL insurance agents) which actually gives them better data than any enterprise Adwords agency will be able to collect. Regardless, there’s no margin available for the sub-$500 or sub-$1000/mo. advertiser even for a moderately qualified professional, which is the vast majority of the SMB market. On reviews, Google has been slow to the spam game but I haven’t seen a ton of data (Bright Local’s study is probably the best) in terms of the level of trust people put into reviews. It’s declining but still healthy. Well it’s funny to me. The Local Service ad is the least informative ad Google runs. It looks like an old basic yellow pages listing. Except of course for the “google guarantee” which is what I’m sure is driving the CTR. Incredible article! 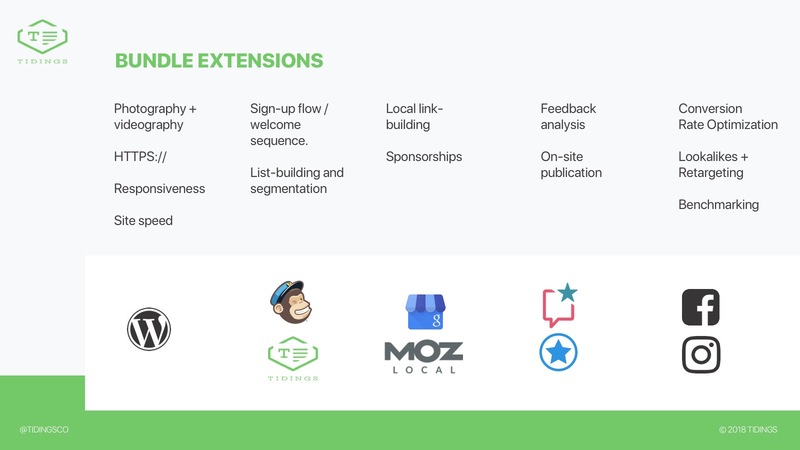 However, I’m a little confused about your stance on MOZ Local. You say local citations and ancient aggregators are irrelevant, and yet you recommend MOZ Local as part of an ageny’s stack. Please clarify. 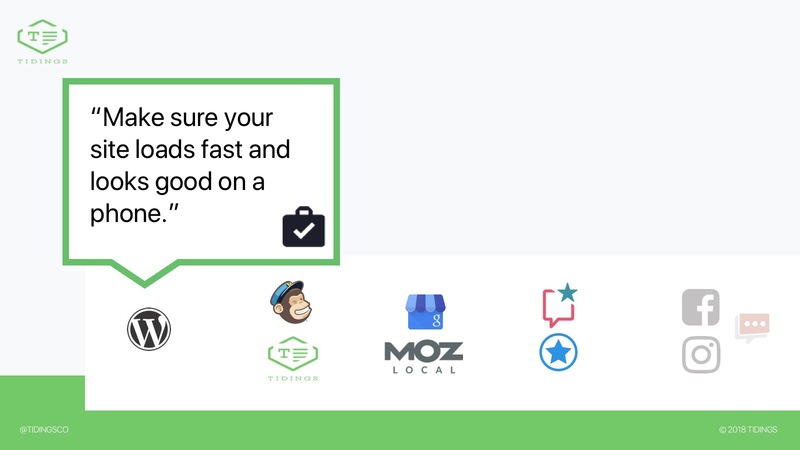 While citations no longer move the needle as far as rankings in most markets, they’re still table stakes & given the price point of Moz Local (or BrightLocal or other services less expensive than Yext), there’s still value there.